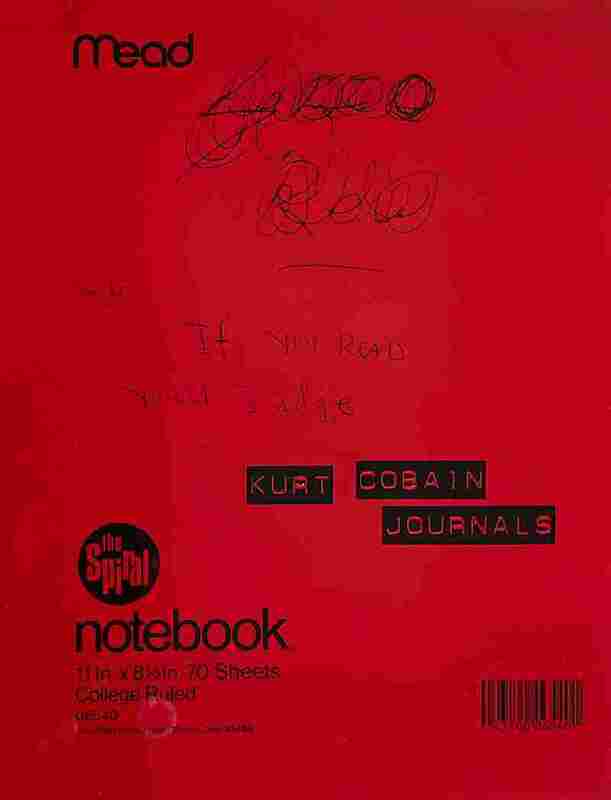 Kurt Cobain's Journals: The Writer Behind The Rock Star Page after page of terrible handwriting is reproduced in faithful facsimile — covering forthcoming gigs, favorite songs, prophecies of fame, janitorial wages and the firing of drummers. 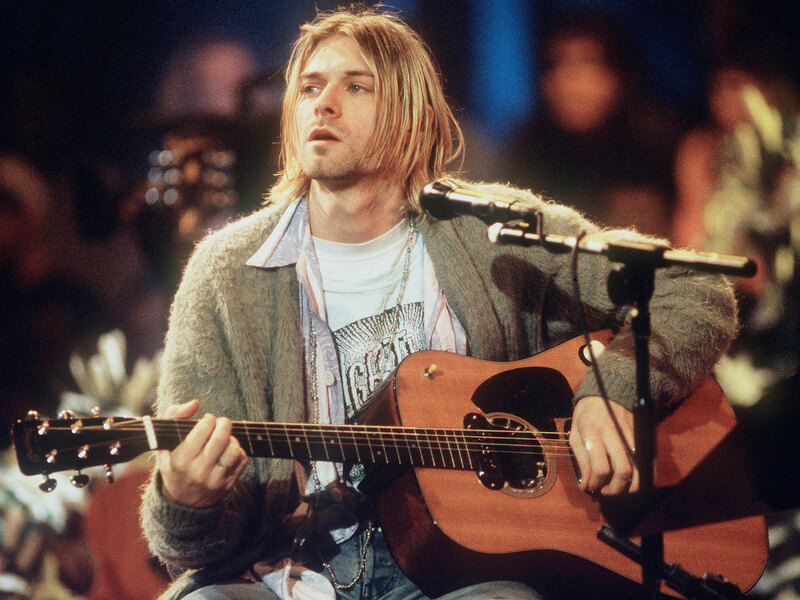 Most people already know Kurt Cobain the rock star. But author Karan Mahajan says Kurt Cobain the writer is "funny, self-aware, and snotty with a knack for off-the-cuff profundity." When you've finished reading every last thing by a famous writer, literary convention holds that you move on to his or her letters, the DVD extras peddled by publishers. I have friends who have read the letters of Philip Larkin, Sylvia Plath, Allen Ginsberg, John Cheever — you name it; I have very pretentious friends. 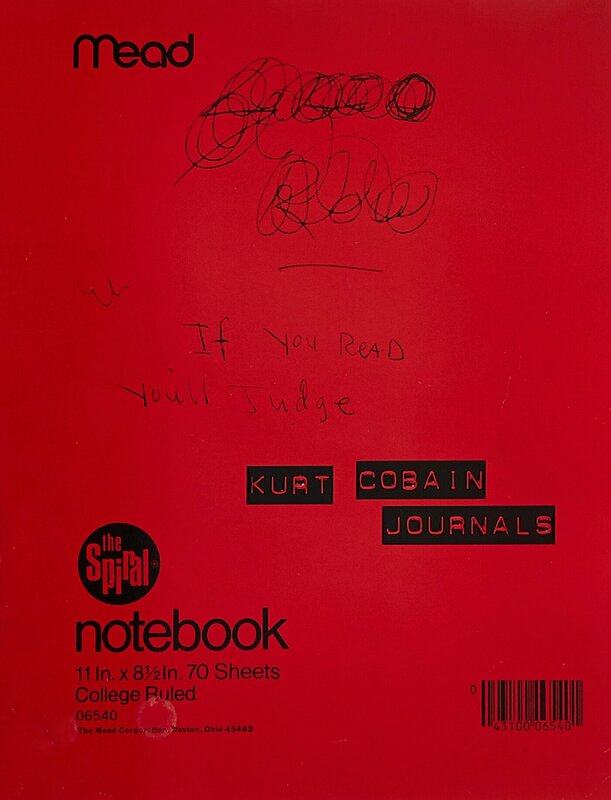 So it always embarrasses me, as a writer myself, to admit that the only complete set of journals I own are those by Kurt Cobain, a rock star — not just any old rock star, but one who used to cross-dress and rhymed the word "mosquito" with "libido" in his most famous song. Admittedly, Cobain was no Larkin or Ginsberg, even if he had the habit of lapsing into adolescent beat poetry. He was also severely challenged by things like spelling, and wore unwashed flannel, and on his notebooks he wrote "if you read you'll judge," which sounds a little more sinister when you learn that his widow made $4 million for the publication of these private diaries — the going rate for a man's soul these days, apparently. The cover to Journals by Kurt Cobain. But for the naysayers who think that the Journals have little worth beyond being a pacifier for weepy fans who've been mourning Cobain since he killed himself at the age of 27, I'd like to say: You clearly don't know Cobain the writer. 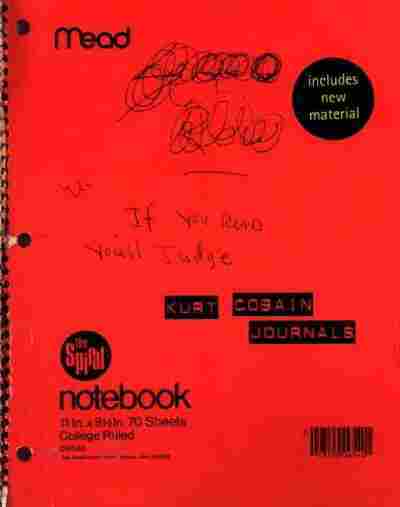 Cobain the writer is funny and self-aware and snotty with a knack for off-the-cuff profundity. Remarking to a friend that his band will be called "Nirvana," he scribbles next to it the words "oooh eerie mystical doom." He also jokingly refers to himself as "the moody, bohemian member of the group," which is pretty much how most folks remember the man behind that amazing, ulcerous voice. Better still, there's a trashy, throwaway quality to the pages that makes them a lighter read than you'd expect, like you've accidentally Googled your way onto someone's blog. Page after page of Cobain's terrible handwriting is reproduced in faithful facsimile, covering such topics as forthcoming gigs, favorite songs, prophecies of fame, janitorial wages and, of course, the firing of terrible drummers, complete with gory sketches to drive home his point. What isn't present here, for better or for worse, are hyperconfessional entries that can be used to further dissect why Cobain took his own life. Even in ranting about drug abuse and the pressures of stardom, he comes across as a smirky young man who appreciates his luck and can see the comedy of having turned into a national icon — as I'm sure he'd have seen the comedy of having these journals discussed in the same breath as a literary heavyweight like John Cheever. 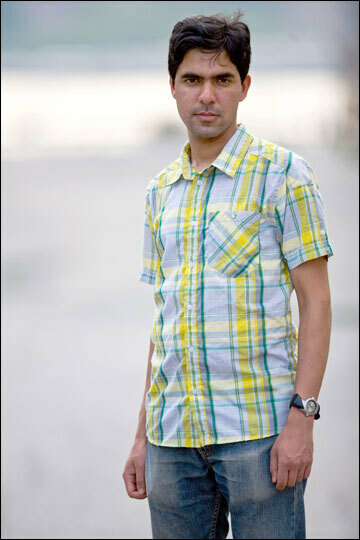 Karan Mahajan was born in Stamford, Conn., and grew up in New Delhi. He s the author of the novel Family Planning. 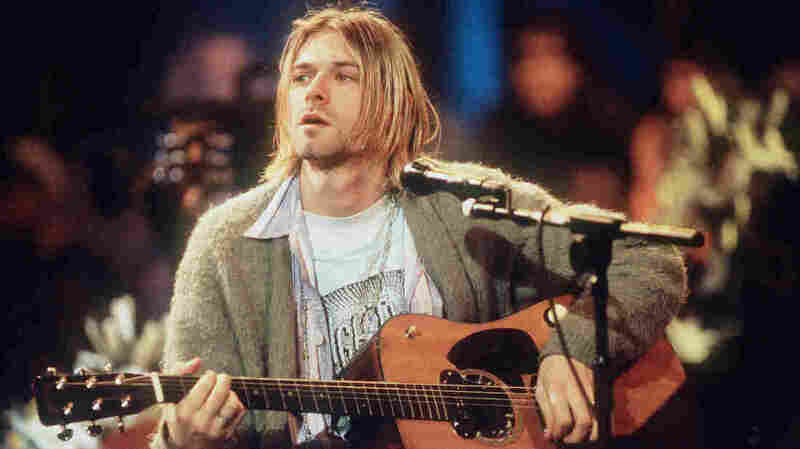 But that's how much reverence I feel for Cobain and his music. Novelists get to say plenty in their massive tomes; rock singers only get four-minute songs with two verses and a chorus' worth of lyrics; and so there's a real pleasure in accessing the intelligence behind the music, even if it doesn't qualify as "great literature." And hey, I'm not the only one who thinks these are better than mere DVD extras — just ask the poor publisher who had to pony up $4 million for a bunch of chicken scrawl.